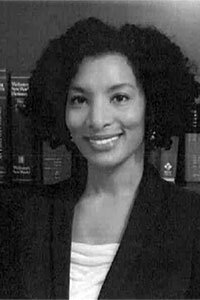 Monica N. Hunt is a Senior Associate with The Allen Law Group. Ms. Hunt focuses her practice on litigation in state and federal court. Ms. Hunt has successfully represented both public and private sector clients in a variety of litigation matters throughout the State of Michigan. She has extensive experience in dealing with all phases of litigation including depositions, discovery, case evaluation, facilitation, trial and appeals. She prides herself on not only vigorously advocating for the interest of her clients, but also her ability as a problem solver and to achieve their business goals. Ms. Hunt earned her bachelor’s degree in Business Administration from the Eli Broad College of Business at Michigan State University where she served on the board of the Black Prelaw Student Society. She is also a graduate of Wayne State University Law School. During law school, Ms. Hunt interned with the Wayne County Prosecutor’s Office and prosecuted misdemeanor cases as a student attorney. While in law school, she also served as a chair of multiple committees of the Black Law Students Association.